The Pearl Abrasive Premium line of Core Bits feature a high concentration of diamond particles in the segments of these corebits. They are well suited for dry coring of materials which include Tile, Ceramic, Marble, Granite. 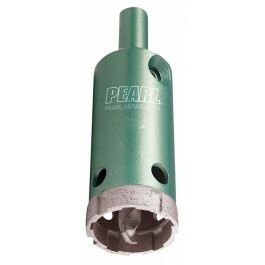 Call us today for more information on Pearl Abrasive Core Bits! 1" x 2-1/4" x 3/8"